Blackmagic’s grading tool turned NLE is on track to become a complete finishing platform–rivaling Autodesk’s Smoke and Flame platforms–thanks to the incorporation of the Fusion compositor directly into the application. In fact, with the enhancements to its Fairlight audio engine and collaboration tools, Resolve 15 offers a complete, closed ecosystem for the entire post workflow. Just announced at NAB, Blackmagic’s Resolve 15 is a major feature release across the board. Most significant though is the bold move to integrate Fusion directly into the application. 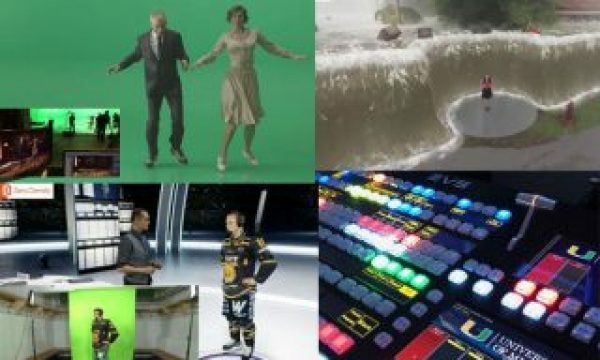 Up until now Fusion has been Blackmagic’s dedicated node-based visual effects and motion graphics platform used on many major feature films, high-end commercials, and motion graphics projects. Fusion still lives on as a separate application but now editors, colorists, and effects artists can access it right from the Resolve timeline. Before we dive into the details, a quick note about the project status: Resolve 15 is most definitely a public beta version of the software. Don’t by any means think that the build you can download today is ready for heavy production work. 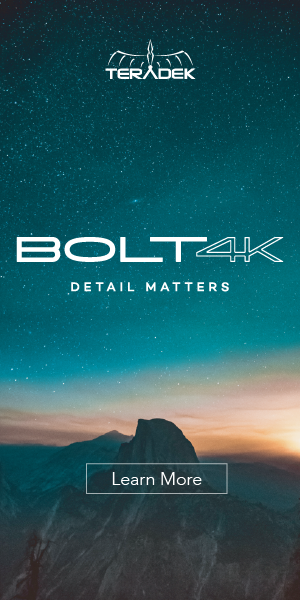 But if you want to start getting a feel for the application in anticipation of the full release version, the download is ready and waiting on Blackmagic’s support page. Also of note: those of you who already own a dongle for Fusion Studio will be able to access the new Resolve Studio builds free of charge. OK, so how does it all work? It’s actually one of the more elegant integrations I’ve seen. 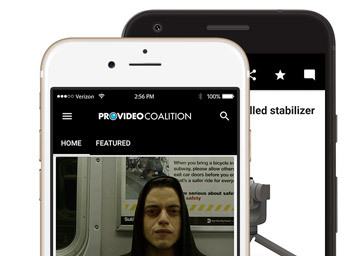 Simply park your playhead over a clip in the Resolve Edit page timeline and switch to the Fusion page. The clip or stacked clips will appear as source nodes connected to a single output node. Footage comes in sized according to the timeline resolution and already set in linear space according to your global Resolve color management settings. No need to mess with LUTs and codecs–that’s all handled by Resolve. Drag additional media into the node view via the standard Resolve Media Pool pane. 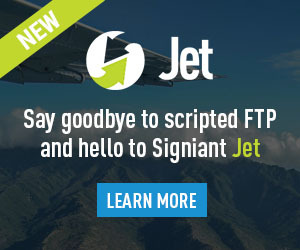 Then choose from the hundreds of Fusion tools–including sophisticated elements like the planar tracker–to build your motion graphics, visual effects and style filters. When you’re done, just make sure the last node connects to the provided output node. That’s it–no need to render. You can switch immediately to the color page and start performing additional grades or return to the edit page to resume editing. A simple timeline representation of all shots (like the one in the Color page) allows you to quickly jump between Fusion comps and create and switch between multiple versions of the same composition. There are definitely beta software “quirks” to be found in the current build, but the biggest word of caution is hardware related. At least in the current state, the Fusion page is most stable on modern machines with lots of RAM. If you have an aging laptop or one with 8GB or less of system RAM don’t expect the Fusion page to show you too much love. No doubt as the beta process goes on and more users with modest systems try their hand we’ll see optimizations for these less endowed machines. For now though, look on the bright side: You finally have an excuse to go out and buy that sleek gray 128GB iMac Pro you’ve been dreaming of. You deserve it, and it’s for work after all. While the integration of Fusion into Resolve obviously the biggest news, Blackmagic have added a solid set of new features and enhancements across the board. Let’s start with the the Fairlight audio page. If you weren’t around in the 70’s and 80’s you may not realize that the Fairlight company was one of the great pioneers of modern electronic music. And in more recent years their technology has been highly regarded in the post world, if not as well-known as Avid’s ProTools line. With last year’s beta release of Resolve 14, Fairlight felt very much “bolted on” to Resolve. The Fairlight page of Resolve 15 has matured considerably and is now a place where both video and audio editors should be able to get real work done. In addition to stability and performance improvements to the Fairlight page, Blackmagic has added a comprehensive new ADR (Automated Dialogue Replaceme`nt) tool. This is one of the better implementations of ADR I’ve seen in a broad market NLE or DAW. It includes exceptional audio and visual prompting and count-in features. The system is based on software the Fairlight company had previously released as a commercial ADR product. ADR takes are stacked in convenient vertical layers for review. The review process is a little tedious with clips needing to be shuffled to the top for preview instead of soloed from their place in the stack. Not a deal-breaker, but somewhere to look for improvement in a future release. Over a dozen new Fairlight plugins have been added–including post-audio essentials like ground hum killer, a de-esser, and noise reduction–in addition to the support for third party VST and audio unit plugins. Colorists still make up the majority of Resolve’s professional user base. (I’m still a little baffled by how often I hear, “What, Resolve edits too?” The free version of Resolve is now an extremely capable editor and an easy transition for Final Cut Pro 7 editors. 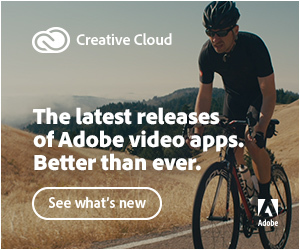 I guess we just all love paying our Adobe Creative Cloud subscriptions…) So Colorists have been known to get up in arms over feature updates to Resolve that they’ll never use. Never fear: Resolve 15 offers plenty of improvements for the color correction crowd. The most immediately noticeable improvement to the color tools is the new LUT browser. Like gallery presets, every LUT installed on the system is available for preview as a thumbnail. But what makes this really powerful is the ability to hover and scrub over a given LUT and see a live preview of that LUT in the viewer. This live preview scrubbing also works for the existing Gallery system. Speaking of the gallery, at the bottom of the gallery there’s a now a “Timelines” section that allows you to browser all the grades in the current timeline and quickly live preview and apply them to other clips. This is a great new workflow tool and could replace the need for constantly creating stills for many colorists. A solid addition to the node view is shared nodes (aka cloned nodes). You can apply the same shared nodes to multiple grades. Tweak one instance and all others are automatically changed. This opens up a world of possibilities for controlling and adjusting primary corrections across multiple shots while allowing those shots to maintain unique secondaries. Another nice touch is the live preview of composite modes when merging in the node graph. Scroll through the list of modes (eg. screen, soft light) and instantly see the effect in the view before committing to one. 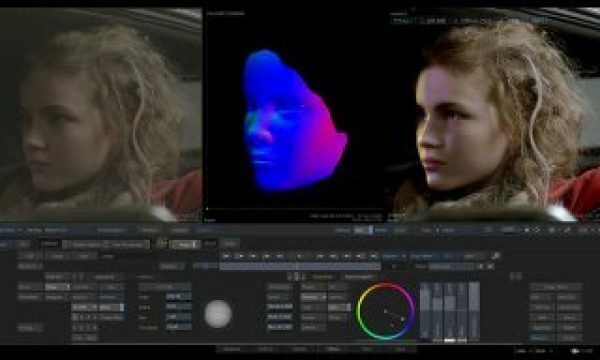 There are many other requested features that have made their way into Resolve 15: multiple timeline playheads, marker overlays, new split screen functionality, draggable qualifier controls (finally), new matte finessing controls, node-specific color and gamma settings (allowing you to choose the color and gamma space you want to correct in per node), support for Dolby Vision and HDR10+ to name a few. The editing improvements are substantial, if a little less visible than the color and audio additions. Of these, the most noticeable is the tabbed and stacked timeline system. Now you can have multiple timelines added in tabs, or stack timelines above each other in the UI to make it easy to drag media between timelines. If your clients like to doodle, they can now draw all kinds of obnoxious notes on your clips for later review. These appear as markers you can quickly navigate to after a review session. In Resolve’s collaboration system they could also be left my remote team members to communicate desired changes etc. A new text tool leveraging Fusion’s powerful albeit often cryptically esoteric Text+ tool has been added to Resolve’s editing features, along with dozens of pleasantly un-ugly preset text effects. For those who love structure as long as it’s their own, Resolve 15 allows you to drag a series of nested folders into the Media Pool to create a project structure template. A nice adaptive upsampling algorithm has been added to source footage properties, allowing you to scale media 2X, 3X, or 4X, great for mixing 2K media into 4K projects. Optical flow algorithms for retiming and noise reduction have also been significantly improved. 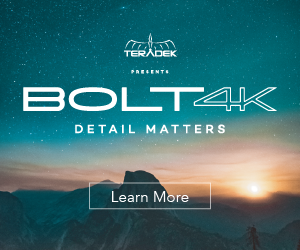 In addition to these there are a slew of other enhancements, some of which fall into the “What took you so long” category: sub-clip drag-and-drop creation, keyframeable Resolve effects, improvements to clip naming, improved timecode entry. There’s also a nice implementation of “Delete all gaps” which protects sync as it deletes. For those needing to repair archival footage, Resolve 15 includes some very cool-looking tools for dust-busting, localized flicker removal, and patch replacement (i.e. a video version of Photoshop’s heal brush). I’m cautiously optimistic; these are the sorts of amazing tools that seem to work on everything except the shot that’s in front of you. Nonetheless, on the demo footage, the effect was extremely impressive. A major new feature of Resolve 15 is the ability to add subtitles and captions. Titles can be imported in .SRT format and placed in a dedicated timeline track, respecting the spacing in the source file. 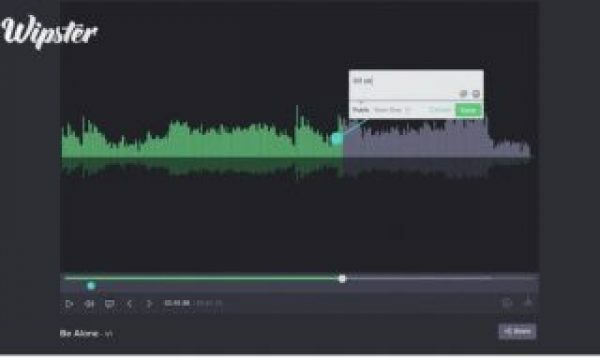 A nice touch is that the created caption clips can be trimmed and edited using the same edit tools used for video tracks. Subtitles can be created directly within Resolve too. 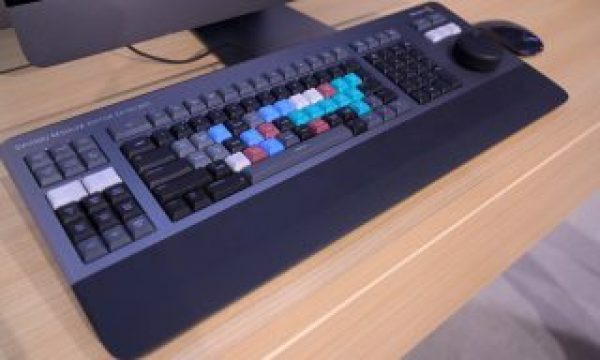 When finished, they can be exported to file as SRT or WebVTT, burned into exported video, or included as embedded captions in MXF OP1A and Quicktime movies. In addition to the previously mentioned optical flow and upsampling improvements, the Resolve engineering team have clearly put a great deal of effort into GPU acceleration. They’ve incorporated support for all three of the leading APIs: CUDA, OpenCL, and Apple’s Metal. Of these Metal is the most significant to Mac users who have suffered from Apple’s insistence on not using Nvidia, making it extremely hard for CUDA-loving artists everywhere to get an Nvidia card working on their favorite Mac. With native Metal support, Mac users should see some solid performance gains from their Radeon powered hardware. For the punters on Linux (we know you’re out there somewhere reading this on your open-source browser) there’s now native audio support without the need to send your sound out via a Decklink card. And for those of you working with multiple monitor speakers you can now leverage the system-native audio engine and thus send audio out via different audio interfaces. In the realm of codecs and the like, Resolve 15 adds the ability to work efficiently with temporally compressed codecs (eg. H264) without messy transcoding or the like, and support for Kakadu DCI–in addition to the previously mentioned native support for DCP and IMF. One app to rule them all? What makes Resolve 15 truly interesting at a philosophical level is the idea of a single app that contains all aspects of post production: Editorial (Edit page), sound (Fairlight page), motion graphics, 3D animation and visual effects (Fusion Page), color correction (Color page) and delivery (Deliver page and the new captioning toolset). Whether one operator chooses to wear all hats or a team of Resolve artists collaborate on a unified project, such an arrangement effectively eliminates what is arguably the most painful aspect of post-production–conform. Will it work? Maybe not today–certainly not at a large-scale commercial level–but it’s a fascinating direction. Blackmagic is stressing that the implementation of Fusion here at NAB 2018 is the beginning of an 18 month(-ish) journey, and that’s probably not too unrealistic a timeframe. There will always be limits to what can be done in one app. Case in point: The Fairlight tool has a long way to go to rival the comprehensive editorial toolset of ProTools. As Fusion evolves inside of Resolve however, it’s hard to see it not becoming a significant replacement for Smoke, if not Flame. And with a more than capable free version and the studio version maxing out at the paltry sum of $299 (there are plugin suites that cost 10 times that number) it’s a hard value proposition to pass up. Damian Allen is a VFX supervisor and pipeline consultant based in LA. He specializes in picture-lock emergency effects work and AR and VR tool development through his company Pixerati LLC. In addition to his hands-on production work, Damian lectures and trains artists around the world in compositing theory and technique.